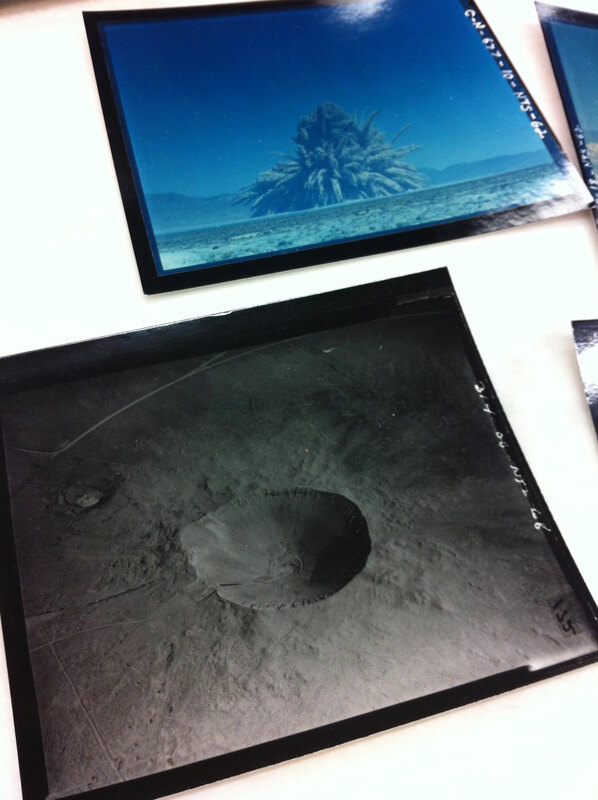 Research at the National Archives, nuclear detonations and craters. Notice the valley floor, no craters exist at the time of this early shot. This is the March 17, 1953 Annie Test, the one in which the first round of mannequins played the role of human subjects. 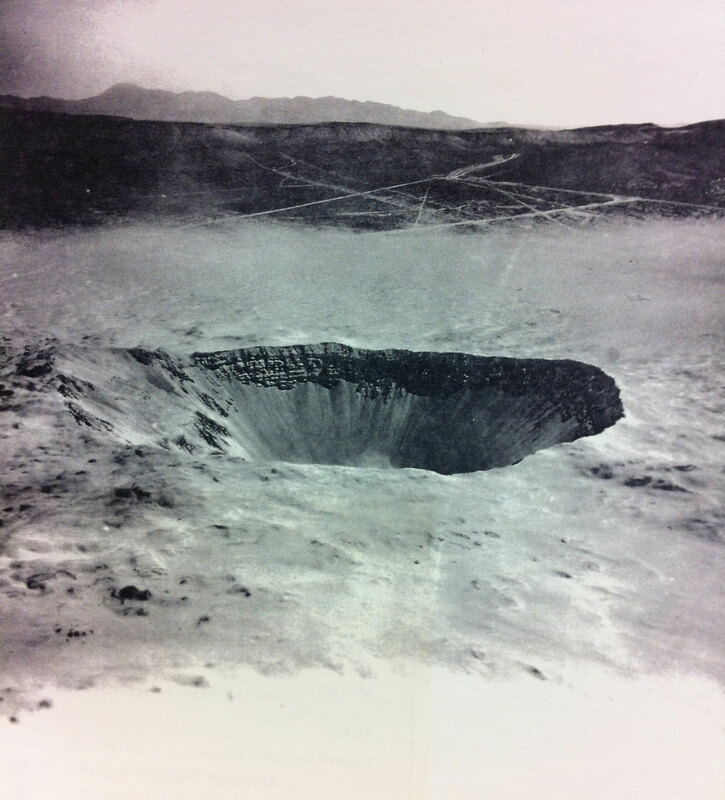 Sedan Crater, Plowshare Program—excavation experiment, July 6, 1962. 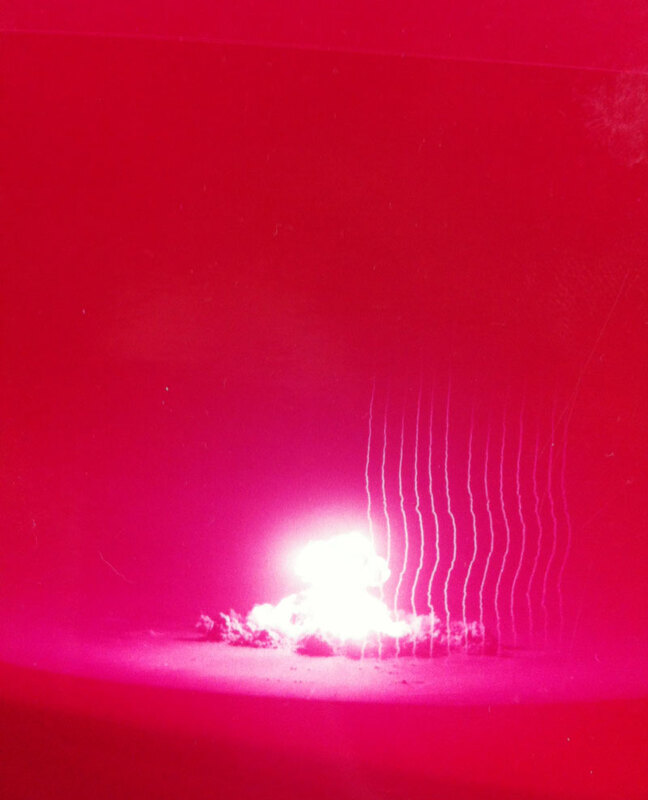 “The Plowshare program, begun in 1958, sought to develop peaceful uses for nuclear explosives. 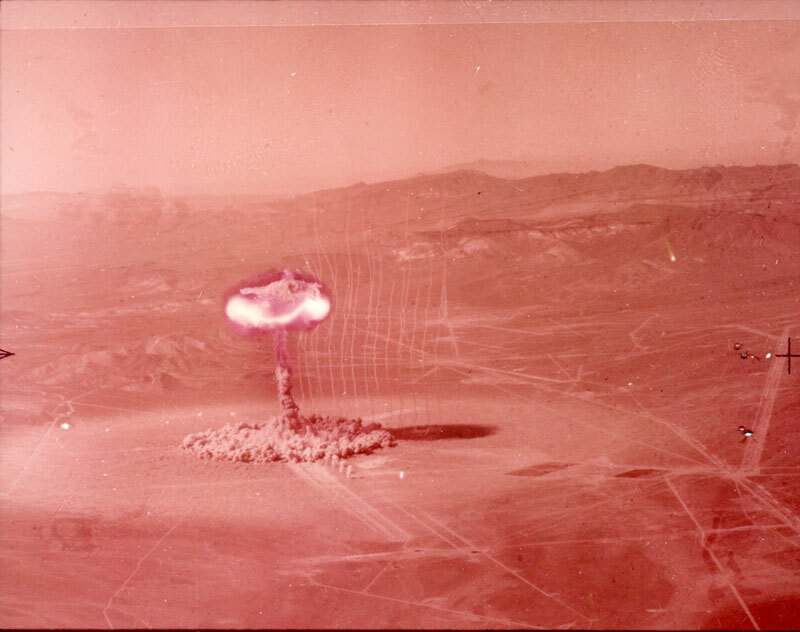 The excavation tests, designed to demonstrate that nuclear devices could quickly and cheaply move massive amounts of earth in the digging of canals and harbors, were conducted at the test site. Most spectacular was the 1962 Sedan test. 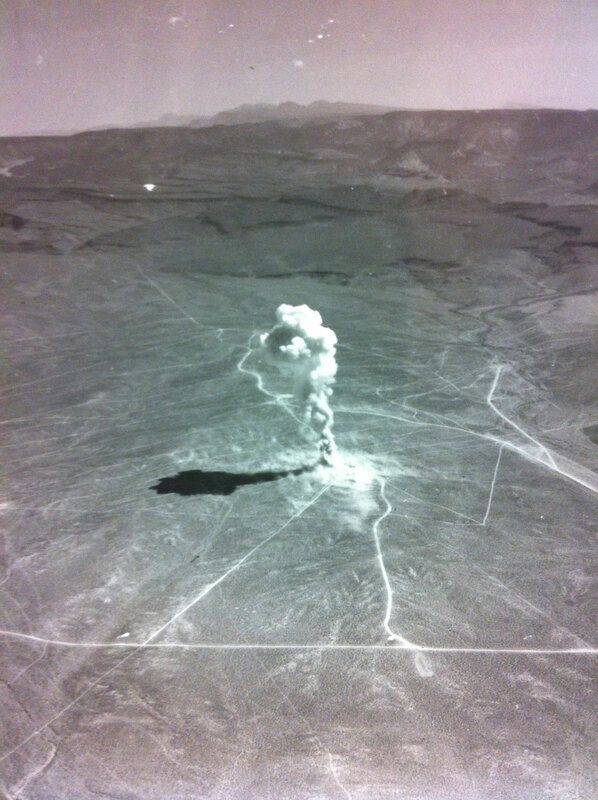 Buried 635 feet below ground…the 104-kiloton blast lifted a huge dome of earth 290 feet in the air, moved 6.5 million cubic yards of earth and rock, and left a crater 1,200 feet across and 320 feet deep. 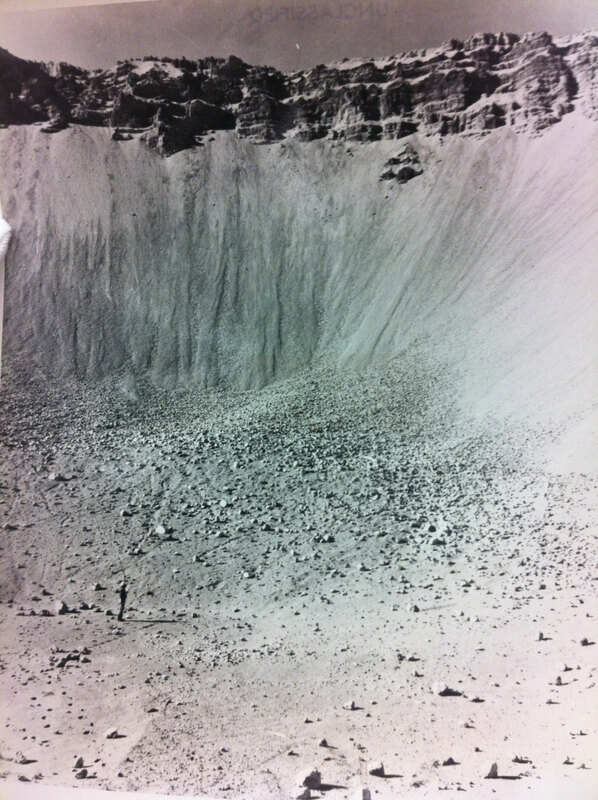 Notice the man standing at the bottom of the crater. 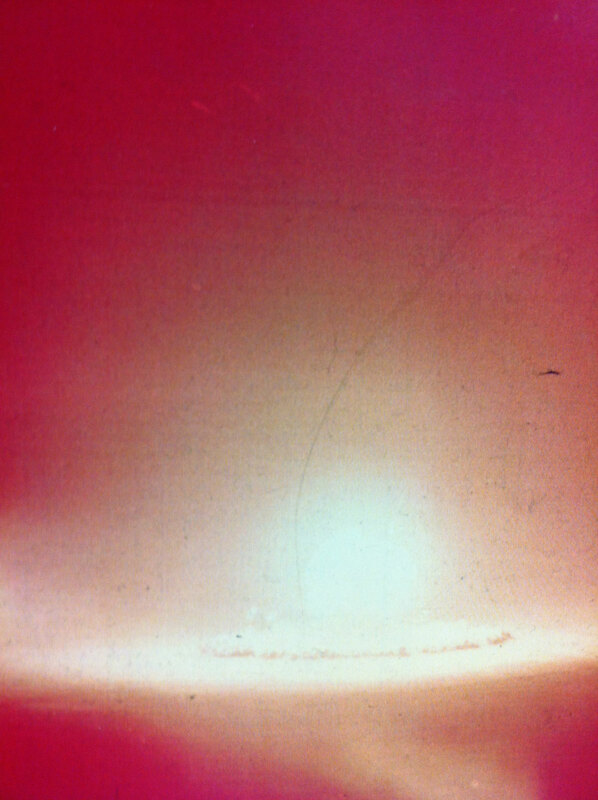 This gives a sense of scale (bottom left corner of photo). Research at the National Archives, Mannequins and real people. Research at the National Archives, ‘Pathway to Peace’ exhibit and presentation.